Rather like its British counterparts, Amtrak, the State-owned US long distance railway system, continues on an upward trend as far as passenger numbers are concerned. Year-on-year comparisons for 20 consecutive months from November 2009 to June this year show a growth each month in passenger numbers and all indications are that it will be another record breaking 12 months. This trend has seen Amtrak set annual ridership records in seven of the last eight fiscal years, including 28.7m passengers in 2010. 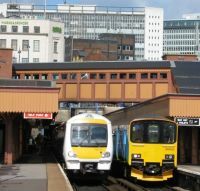 The figures for June 2011 were the best ever June figures recording more than 2.6m passengers. Now to be called the 737 MAX Boeing has formally launched the latest version of what is undoubtedly the greatest selling airliner of all time. The announcement comes with order commitments for 496 aircraft from five airlines. "The re-engined 737 will allow Boeing to continue to deliver the most fuel efficient, most capable airplane with the lowest operating costs in the single-aisle market," said Boeing Commercial Airplanes President and CEO Jim Albaugh. "This, coupled with industry leading reliability and maintainability, is what customers have told us they want. As a result, we are seeing overwhelming demand for this new and improved version of the 737. We are working with our customers to finalize these and other agreements in the weeks and months ahead." The 737 MAX family will be powered by CFM International LEAP-1B engines optimized for the 737. Deliveries are scheduled to begin in 2017. "Customers tell us they want to improve profitability and fuel efficiency while reducing their environmental footprint," said Albaugh. "This solution meets all three of those needs." According to the magazine Flight International and its ACAS database, there are currently 25,000 aircraft in service at the present time ranging in size from the 20-seat de Havilland Twin Otter up to the Airbus A380. Figures show a minimal increase from last year. Leading the line-up is the Boeing 737 with 4,958 in service, followed by the Airbus A320 series on 4,390. The Boeing 777 is the best selling wide body aircraft and Bombardier leads ATR as far as regionals are concerned with a fleet of 839 Dash 8/Q series, as against 778 ATR 42/72. In this category 766 Embraer 145 and its developments are operating. Ticket applications open for the London 2012 Paralympic Games on 9 September 2011. Whilst there is unlikely to be the same frenetic rush to secure the best seats for the most popular events if you want tickets you are advised to book early. You can now view the full event details for each session, by sport, as well as all prices and ticket limits. Half the tickets are priced at £10 or less and 75% of the remaining are £20 or less. For young people aged 16 and under (at 29 August 2012) and seniors aged 60 special price tickets are available in every sport session for just £5. You can apply for a maximum of 10 sessions. Applications will close at 18:00 on Monday 26 September 2011. Payment is only by Visa and you are advised not, if at all possible, to change your card once the application has been made. It will only cause complications. The organisers will let you know whether you have been allocated tickets by 18 November at the latest. The British Airways Flying with Confidence course is celebrating 25 years of helping nervous flyers take to the skies worry-free. Over the past quarter century the one-day course, run by experts including psychologists and British Airways pilots, has helped more than 45,000 people. It is held at UK airports, including Heathrow, Gatwick, Glasgow and Edinburgh and starts with sessions on the ground with British Airways pilots who explain the technical side of flying, including how an aircraft operates and what causes turbulence. Clinical psychologists provide expert advice on relaxation techniques, and how best to deal with anxiety and feelings of panic. The day builds towards a 45mins flight on a British Airways aircraft with British Airways crew – where customers can put the theory into practice. This year a new Premium course at London City Airport has been launched which will use the British Airways A318 all Business Class aircraft to offer an exclusive course with a BA Club Class feel and includes the opportunity to fly the BA Mobile Simulator. According to the missive so far 75 English local authorities have published some or all of their information. This allows local residents to see whether speed cameras are having a positive impact on accident rates in their areas. The remaining 72 authorities plan to do so in the next few weeks. Links to the local authorities' information can be found on a central hub on the Department's website. Travelodge has announced a free wi-fi service throughout its UK hotel chain and claims to be the first budget property operator to do so. 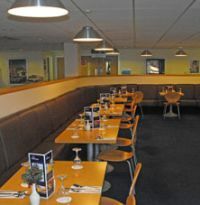 This new offering is being rolled out from today and will be implemented in all Travelodge Bar Café hotels by 12 September 2011. 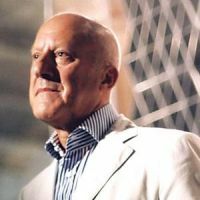 Peter Foster entered the airline industry immediately after graduating from Cambridge University in 1982, as a management trainee of John Swire and Sons (HK) Ltd, the owners of Cathay Pacific Airways. From 1982-1999 he served in a variety of management and senior management positions with Cathay in Hong Kong, Asia, Australia and Europe, and underwent business management training at Insead, France. Mr Foster left Cathay in 1999 to head up the rehabilitation team of Philippine Airlines Inc. He subsequently served as Chief Executive Officer of Royal Brunei Airlines from 2002- 2005 prior to his appointment as President of Air Astana. One of the snags of running an airline in central Asia is that we cannot expect to see ourselves crop up very often, at least for the right reasons, in the columns of the most venerated industry publications (from which I must exempt this esteemed publication). Before I offend too many people I should say that we have our isolated cheerleaders in Airline Business and Air Transport World and others of the establishment – and I have therefore come to the conclusion that the problem is neither editorial nor personal, but geographical and historical. For the history of the airline industry has been written and continues to be categorized in, and as, the US, Europe, and latterly, Asia/Pacific and the Gulf. A requirement for greater inclusiveness has dictated that the first and last of these two are now respectively “The Americas” and “Middle East and Africa”. Sadly however, there is yet no home for central Asia, equidistant as we are from the shores of the Pacific, the oases of the Middle East and the forests of eastern Europe, in the regional round-up sections of the industry press which are the equivalent of The Sun’s Page 3 for most airline executives. Vanity and hurt pride aside, anonymity has proved an absolute blessing. When the Government of Kazakhstan and BAE Systems set up Air Astana on a shoestring almost 10 years ago, few observers gave the airline a chance, and fewer still imagined that it would be anything more than another failure in an inglorious line of airline fiascos which followed the break-up of the Soviet Union in 1991. Yet here we are in our 10th year and the country’s 20th, nine years of unbroken profit and two successive record years, culminating in 2010 in which we are listed as the world’s 15th most profitable airline by net margin in the pages of Airline Business. As much as I would like to think we are geniuses or alchemists, we are neither. Quite simply we are lucky to find ourselves in the right place at the right time, a region almost entirely off the mainstream air transport radar at the start of the millennium and still obscure to many, but one that has been growing by an annual average of 17% during that time. Growth has been fuelled by a combination of factors: Voracious demand for the region’s minerals and metals from China and elsewhere, a high birth rate and growing population and, in the specific case of Kazakhstan, increasingly liberal economic laws and policies that have fuelled wealth creation, the rise of an affluent middle class and a massive hitherto pent-up demand for foreign travel. Visit any European capital in summer or Asian beach in winter and you will hear an increasing number of Russian conversations, many of which are conducted not as you might think by citizens of Russia, but by Kazakhstanis and other central Asians – our passengers thank you, because the industry has suffered a collective blind spot by paying scant attention to anything other than the trade press. There are a few honourable exceptions, all of whom have done well. My alma mater, Cathay Pacific, built its foundations in the 1960s, 70s and 80s on the “surrogate home markets” surrounding Hong Kong, as did Singapore Airlines in southeast Asia during the same period. Air Astana has followed this template to the letter. Although Kazakhstan despite its vastness has a population of just 16 million. If one draws a line 300km outside our borders the catchment increases to 80 million. Since Air Astana was given the specific instruction by Kazakhstan’s President Nazarbayev to operate and run its affairs strictly on the basis of best commercial airline practice, and since the rest of the government was told not to interfere, it is best practice for which we have striven. Whilst we are pleased with what Air Astana has achieved in terms of safety, profitability, operational reliability and standards of service, running an airline of this type in a region in which infrastructure and regulatory framework are still struggling to escape from post-Soviet constraints can be a challenge. Issues with ICAO and national/regional authorities such as ECAC are well-documented and continue to act as a drag on both reputation and development. The region still bears its “wild east” moniker and remains the target of snide remarks on some of the industry’s more rarefied executive floors. However, it needs to be remembered just how geographically and climatically difficult this region is. We and our fellow central Asians must operate in extremes of temperature over vast distances to and through cities where aged airports are often the only means of communication. In addition, shedding 75 years of Soviet regulation was never going to happen overnight. When seen in this context the region is doing well. The regulation and imposition of safety standards in our industry is both more rigorous and more uniform than when the rest of Asia was developing, doubtless a good thing. Sitting in Almaty however, I urge authorities and organisations such as ICAO, EASA and IATA to deploy the huge weight they carry in this region to go beyond preaching, to provide genuine assistance towards the improvements which regional authorities are well aware are absolutely necessary if the industry here is to develop in line with the rest of the world. For the first time the media have been allowed into ANA’s maiden Boeing 787 which goes into service next month. The eighth Dreamliner built ZA101, as noted in last week’s AERBT, will initially be used on a short series of charter flights before operating on the Haneda to Okayama Hiroshima routes. 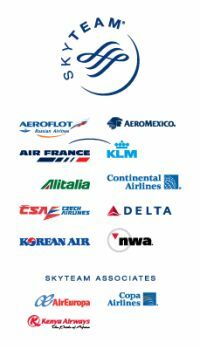 ANA expect delivery of 11 similar aircraft before the end of March 2012, and eight the following calendar year. 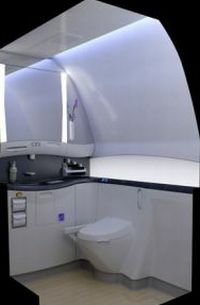 This first 787 features a ‘ladies only’ rest room and is configured with 12 Business Class seats, 2+2+2 in two rows, and three Economy Class cabins 2+4+2. 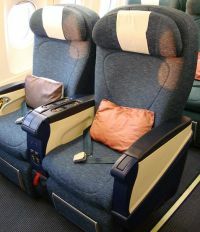 Seats in both classes are supplied by the long established French company Sicma with Panasonic responsible for the in-flight entertainment system. By the second quarter of 2012 Cathay Pacific expects to equip the whole of its long haul fleet, presently around 70 aircraft, with a new, yet to be unveiled, Premium Economy product. 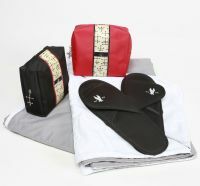 In a statement, new Chief Executive John Slosar said that the new product would be introduced on all of Cathay Pacific's long haul routes, the ultra long hauls to Europe and North America, and the medium haul down to Australia, in the Middle East and other destinations. “The seat will be more like a regional Business Class seat. We’ll have great recline and plenty of leg space," he said. Due for publication in September is a self-published study by architects Foster + Partners and global infrastructure consultants Halcrow. Called The Thames Hub – this will bring together rail freight connections between the UK’s main sea ports; a 150 million passenger airport to replace Heathrow; a tidal energy barrage and a new flood protection barrier. The long-term vision, which spans the next 50 years into 2060, is designed to reinforce the United Kingdom’s position as the world’s leading commercial, tourist and financial centres, ensuring that the country remains globally competitive in the late 21st century and beyond. The Foster + Partners and Halcrow vision represents a significant development of the Mayor of London’s call for a new airport in the Estuary, while developing the capacity across all of the UK’s transport modes and trade routes. Lord Foster (75), is in a unique position regarding airport design. Previous designs by his partnership have included Beijing International, Hong Kong, and Stansted. His new “Hub” study has an air of expectancy. 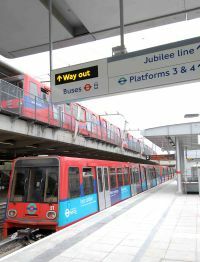 With just one year to the start of the London Olympics the much heralded DLR link from London City Airport to Stratford International has opened. Also using intermediate stations it goes via Canning Town, West Ham and Stratford National to what will become the hub of the QE Olympic Park. Journey time is just 19mins and the trains run every 8mins. It is also possible to shorten the journey from London City to St Pancras by taking the DLR to Stratford International and joining an express Javelin train from Ebbsfleet. Journeys to Dover and as far as Ramsgate can also be quickly undertaken in this way. 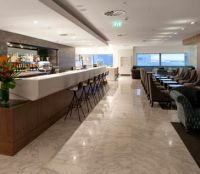 The brand-new No 1 Traveller lounge at Heathrow T3 has secured Oman Air as its first airline client. Gold and Silver members of Oman Air’s Sindbad frequent fliers programme will also have full access to the lounge’s superb amenities. It is a very good move for the airline saving the problems of operating a facility that has limited use at Heathrow. The Oman’s partnership with No 1 Traveller will ensure that customers can make the most of the lounge’s outstanding hospitality, including complimentary à la carte and bistro-style menus, a fully-tended bar offering everything from soft drinks to champagne cocktails, a snug (quiet room), games rooms, showers, cinema, family room and a library which features complimentary Skype facilities. Following the opening of a London 2012 official Olympic gift shop at Heathrow T5 another has seen the light of day landside at Stansted. There are also shops at St Pancras International Station, Paddington Station and John Lewis in Oxford Street, and will no doubt be joined by others. We’ve spotted one under construction at Canary Wharf, due to be opened imminently. 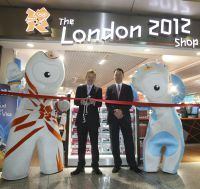 The shops feature Wenlock (the London 2012 Olympic mascot) and Mandeville (the London 2012 Paralympic mascot). Much Wenlock is where Wenlock Olympian Games take place annually, the precursor to the modern Olympics. Stoke Mandeville hospital was the launch pad for sporting activities by paraplegics which paved the way for the Paralympic Games. Jo Bacon is a translation expert (over 100 books), a member of the Guild of Food Writers and a regular traveller. She also tends to get worked up with some of the more infuriating aspects of globetrotting. In this report we have left out the name of the airline concerned in the hope it knows who it is and will put matters right. It needs to. The (long) piece is best read on your PDI when sitting at an airport waiting for your flight. It is good to know people are worse off than you. I returned on Monday 8 August from a trip to the USA, traveling first to New York, then to a fungus foray in Clarion, Pennsylvania, a small town about 100 miles south of Pittsburgh. To say that my trip was eventful is an understatement. There were four flights in all, London to New York and New York to Pittsburgh then back again. The only good thing that happened to me was that I was bumped up to Business Class on the London to JFK flight which was wonderful and relaxing. And getting even better I gather. Little did I know that this was to be my ONLY wonderful and relaxing experience with the airline. I returned to JFK four days later for a 20:30 flight to Pittsburgh. I had taken the Supershuttle shared airport service from Greenwich Village which, as usual, did a tour of the Lower East Side before we finally got on to the laughingly named Van Wyck Expressway, laughingly because it is anything but Express. Fearful I might be late for my flight, I rushed to the gate where a huge crowd was waiting for a number of internal flights. After a long wait, during which time passengers were given no information at all, I was finally informed that my flight to Pittsburgh had been cancelled! Mine was one of a number of flights dropped that evening but no formal announcements were made, you had to hear it from the clerk. There were announcements made frequently to the effect that passengers whose flights had been cancelled were not entitled to claim for meals or accommodation, since the cancellations were due to bad weather! There was chaos at the gate, and the announcements board behind the heads of the clerks contained totally inaccurate information! If the information was wrong, why weren’t the boards switched off? The airline appears to make it a policy never to make announcements about flight cancellations or warn passengers as soon as they are aware of cancellations. I finally got to the front of the queue and was rebooked on to another carrier’s flight that did not leave until the next afternoon! I phoned the hotel in Pittsburgh who charged me for the night I did not stay there, despite the fact that I assured them I was arriving the next day. Then I went to retrieve my luggage from the carousel at which it was supposed to be and found it was not there! I complained to an airport official explaining that I am a diabetic and that my insulin was in the suitcase. He promptly called an ambulance and the police! The police officer insisted that I go to hospital (he told me his son is a type I so, probably did not understand that the situation is not an emergency in type II patients). I was wheeled away on a stretcher by two burly ambulance women who drove me to the Jamaica hospital. When I got there, I found the Emergency Room was in utter chaos. Doctors and/or nurses would start dealing with a patient and then forget about him/her for several hours in mid-treatment or in the midst of dispensing medication. I had been assured in the ambulance that the hospital would give me insulin or at least some treatment. They did not. All they did was take two pinprick blood samples with a glucometer throughout the night. Worse, they did not even give me anything to eat or drink although I told them I had not eaten since 13:00 that day! The nurse who took the blood sample told me the result wasn’t bad but I have no idea what the numbers meant, we calculate the blood sugar differently in the UK. After I had been lying on a gurney for around four hours, I was finally seen by a doctor. He took the second blood sample with a glucometer and said the results were still fairly good and he agreed I could be discharged. But he did not get around to signing the paperwork for about another three hours! By the time I was released, it was around 05:30 and of course I had had no sleep since the previous evening or food since the previous lunchtime. I took a cab to the airport and went to the airline terminal where my bag, if it had been found, might have been transferred. The lady there was helpful. She telephoned and informed me the bag had been found and to return to transatlantic carrier terminal (in a different building, of course!) where it would be waiting but that Baggage Claim did not open until 07:00. I took the Skytrain back to terminal 8 and went to carousel 9. It was only 06:30 but despite what she had said the bag was there (!) and I was able to reclaim it. There was a note inside to say it had been searched, heaven knows what they were looking for. Near the carousel there was a Dunking Donuts stand and I finally got something to eat and drink after 18 hours. I even sat on the edge of a stopped carousel and not only took my pills but injected my insulin, in full view of the servers at Dunkin Donuts. I then returned with my bag to the onward departure building where I sat around for six hours, as I saw no point in another long journey back to the City and was too exhausted to do anything anyway. Nowhere to sleep or rest in the airport, the uncomfortable seats with their metal armrests make sure of that! Finally, I caught the flight on Tuesday afternoon. Fortunately, the Foray in Clarion did not begin until Thursday, had I not allowed myself a few days in Pittsburgh I would have missed it. I won’t go into what happened in Clarion except to say that there was up to 36° heat and 90° humidity and no air-conditioning! Anyway, then came the trip back. I had a nice ride back with the same lady who gave me the lift down to Clarion. When I got to Pittsburgh Airport, I discovered I had booked myself on a flight leaving the next day! I realized I had not counted on being able to get away from Clarion that early. I phoned the airline and they told me it would only cost me around US$250 to change my flights so that was a bargain. However, they told me the flights to JFK were full and they could only route me to London via Chicago but so what, at least it was a flight. I said OK. They put me on an evening service with only two hours for the transfer to an international flight. It did not occur to me at the time to ask them to put me on an earlier flight, I assumed they knew what they were doing which was, of course, a big mistake. I discovered, sitting by the gate for another five hours, that several flights to Chicago left in the afternoon and some of them were almost empty. Come the evening and the flight to Chicago. I went to the restroom and next to the restroom there was what appeared to be the only departure board in the airport, heaven knows why Pittsburgh has no departure boards, there were none at all at the gates! I discovered from the board that – you've guessed it! My flight to Chicago had been cancelled! I rushed back to the gate where several other passengers were in this predicament (several other flights to other destinations had also been cancelled) and was told that there was now room on the JFK flight after all because it had been delayed so several passengers had cancelled. I gratefully got on board, realizing I had little time to catch the flight to London. To my grave concern, the plane sat on the runway for 45 minutes before being cleared for take-off. When we got to JFK it again sat around on the runway before finally taxiing to the gate. The time was now 20:35, the time my flight to London was supposed to leave! I somehow managed to dash from one end of the terminal to the other, lugging a massively heavy item of hand luggage (with the insulin and my pills in it, this time!) and arrived panting at the gate. I had been told that the flight had been delayed by 30 minutes and so I managed to catch it by the skin of my teeth, I would have missed it if it had not been delayed. When I reached London (an uncomfortable flight, no Business Class this time) I waited at the carousel for my luggage – only to discover they had lost it again! I was told it was because it had been checked in at the gate in Pittsburgh (when my flight was changed from Chicago to New York, the bag was taken out of the batch going to Chicago and was issued a handwritten ticket) and this apparently posed a security issue. The clerk at the lost baggage desk explained that my bag details were not even in the system! She advised me to wait for the landing of the next flight from JFK which was coming in the next hour to see if it was on that. So I had to hang around the airport for another 90 minutes in case it arrived with the next flight. Well, surprise, surprise, it was not on that flight either! I returned home, or rather to the office, where I was forced to start on a backlog of work, hoping and praying that the bag would turn up. I checked on line, it appeared to have been found but it had still not arrived. It eventually reached London the following day and I was reunited with it that afternoon. I then tried to claim on my travel insurance and was informed by the insurance company that NOTHING involving connecting domestic flights is ever covered! This is because the risk is too great! So that was the icing on the cake. What are the lessons to be learned? First of all, make sure your luggage is very easy to identify (mine has my surname in big gold letters stuck on by me down one side). so that airport baggage-handlers can pick it out from a jumble of bags. Secondly, never rely on internal flights being on schedule or even flying at all in the United States (I travel frequently in Europe and never have a problem). If I hadn’t allowed a few days in Pittsburgh, I would have entirely missed the event I was going to. And most important of all – if you have to catch a connecting flight, allow yourself plenty of time. As part of its focus on continually improving the customer experience, American Airlines is introducing a new suite of premium class amenities. The product additions are designed with the customers' comfort and convenience in mind and have started to roll out on select international flights in First and Business Class cabins. Customers travelling onboard American’s flights between the US and Heathrow (LHR) will be among the first to enjoy the new offerings. First Class passengers travelling onboard Boeing 777s between the US and LHR will receive a quilted bed topper custom-designed to fit American’s popular Flagship Suite, pyjamas and slippers as part of a new turndown service. A lightweight day blanket, new premium duvet and pillow and an amenity kit complete the new suite. East Midlands Airport is to be connected to Frankfurt, the world's ninth largest from 31 October 2011 offering the Derby, Leicester, Nottingham region worldwide connectivity via parent company Lufthansa. Flights will operate three times a day from Monday to Friday and also once on a Sunday, using the Embraer 145 with 49 seats. Over the next few weeks in excess of 70 destinations such as New York, Rio de Janeiro and Capetown will be available. The new service will appeal to both business and leisure travellers visiting the German city whilst also providing seamless connections to key business centres across Europe and the world. In a first for the rail sector, Chiltern Railways will today (Monday 5 September) launch a premium economy product on its new Birmingham to London "Mainline" service. Mainline itself is the result of an 18 month £250m private investment and is the biggest project in the history of Chiltern Railways. Modelled on airline products, the Business Zone has been designed following extensive discussions with the business community. Chiltern Railways says the new service has been created to fill a much needed niche, providing all the valued business benefits of First Class at a fraction of the cost. Passengers using the Business Zone will enjoy a private carriage of just 30 seats with large tables, wide seats, ample legroom, an ‘always-on’ wi-fi connection and plug sockets at every seat. They pay a £20 supplement which can be for both legs of the journey or just one way. UK regional carrier Loganair is to resurrect the non-stop link between Glasgow and Newquay Cornwall Airport from 5 April 2012 retaining the domestic connection for the summer months. The route is currently flown by Plymouth-based Air Southwest but the airline is set to close later this year – it will terminate its own flights on the route at the end of September. For the sixth year in succession Lufthansa is dressing crews in traditional Bavarian costume in flights to Munich from San Francisco, Montreal and São Paulo in the run up to the Oktoberfest. This time around, the 14-strong inflight team will be heading for three destinations. The first flight, on 13 September, will take them to San Francisco. On 22 September, they will depart for Montreal, and on 28 September for São Paolo. Until 2 October, which marks the end of the famous beer festival, the traditional-look Lufthansa crew will bring a touch of Bavaria to selected international flights. With Star Alliance diplomatically giving Air India “the elbow” it seems that both the other two major airline groupings have been sounding out the Delhi management in a bid has cultivate some kind of alignment for the future. According to officials in the Ministry of Civil Aviation a SkyTeam delegation, led by Managing Director Michael Wisbrun, has met Civil Aviation Secretary Nasim Zaidi last week and expressed interest in making the national carrier part of its alliance. “We do not have any problems in joining SkyTeam and will consider its proposal seriously. But at the same time we are open to talks with Star Alliance if they want to restart a dialogue,” a senior ministry official said. Air India is unlikely to form any relationship until it unravels its ongoing financial problems, but all the alliances can see the potential. Thai Airways is the latest major carrier which plans to introduce a low fares subsidiary in 2012, following Singapore Airlines who announced back in July that they would take that route. British Airways has in the past invested with a budget airline (Go) and so have several American carriers, without success. “Flydubai” was spun out of Emirates, but with the substantial backing of the Dubai government. Thai Smile Air will operate out of Suvarnabhumi Airport, Bangkok, and from 2012, using a fleet of 11 Airbus 320 aircraft with 174 seating capacity; ideal for the secondary route markets that have short haul routes with less than two hours flying time. The low fare airline will initially fly to domestic Thailand destinations such as Ubon Ratchathani, Khon Kaen, Chiang Rai, and Surat Thani, with the view to operating internationally in 2013.